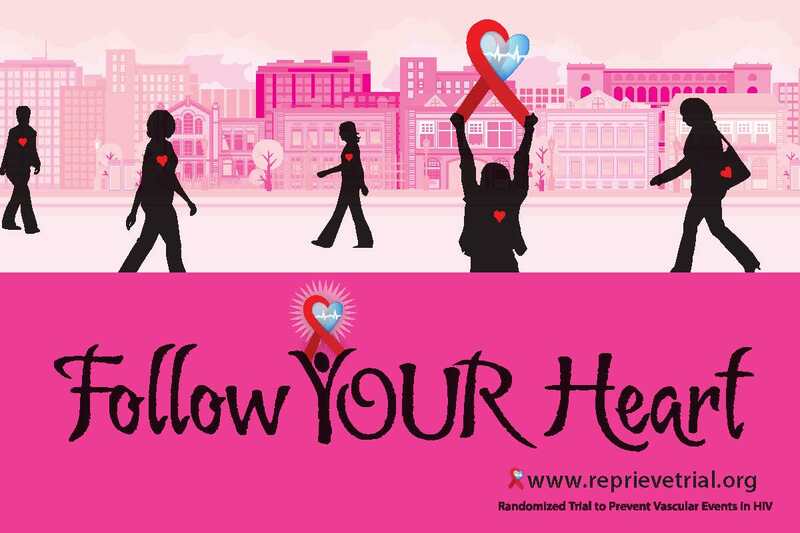 When combination antiretroviral therapy (ART) first became available in the mid-1990s, there were hopes that suppressing HIV replication for a few years would be enough time for all virus-infected cells to die off, resulting in a cure. Those hopes were dashed by the discovery that HIV can persist in long-lived cells in a latent (dormant) form—particularly in a type of immune system cell called a memory CD4 T cell. As their name suggests, the normal job of memory CD4 T cells is to remember a past infection and respond quickly if it recurs (vaccines work partly by generating memory CD4 T cells against a particular infectious agent). Every cell in the body, with the exception of red blood cells, contains a copy of the entire genome. The genome consists of DNA and can be thought of as a production line capable of manufacturing all the protein components that make up your body (this is done via an intermediate step, wherein the DNA makes RNA which then makes proteins). Different cells just employ the parts of the DNA production line that they need to make the proteins that allow them to do their job, e.g. kidney cells make the proteins they use in clearing waste and immune system cells like CD4 T cells make proteins involved in the work they do responding to infections. HIV prefers to replicate in activated memory CD4 T cells, because it hijacks the busy DNA production line to manufacture more viruses, which can then exit and infect other cells. But if HIV infects a memory CD4 T cell when the DNA production line is in the process of shutting down (or is shut down), the virus essentially becomes trapped in the machinery, and can only start making viruses if the CD4 T-cell becomes activated again and the DNA production line cranks back up. In technical terms, HIV DNA becomes integrated into the DNA genome of the resting memory CD4 T cell. While the cell remains resting, HIV stays latent and is invisible to the immune system because no virus proteins are being made. The total number of latently infected CD4 T cells in the body that contain replication-competent HIV is around 100 million, according to recent estimates. 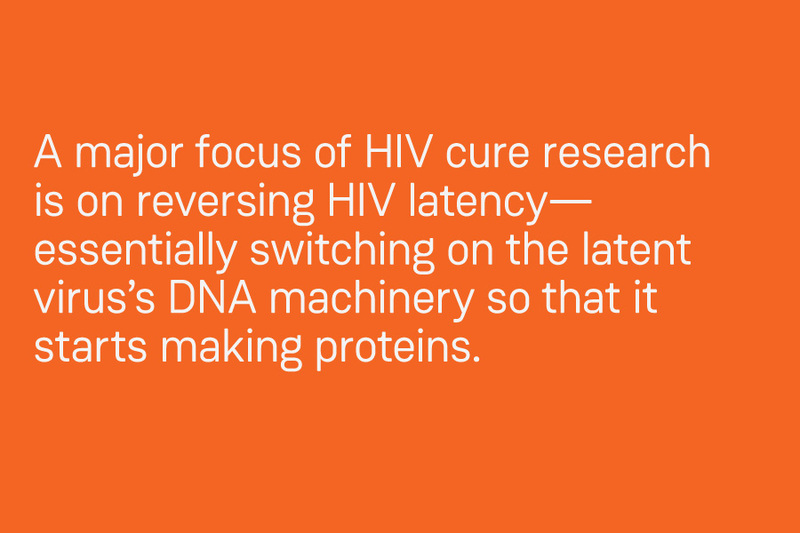 A major focus of HIV cure research is on reversing HIV latency—essentially switching on the latent virus’s DNA machinery so that it starts making proteins. The aim is to cause the death of the latently infected cell, either by making it visible to the immune system because HIV components are being produced, or due to the toxic effects of viral activity. A variety of approaches to reversing HIV latency are being studied, referred to collectively as latency reversing agents (LRAs). Among the leading candidates are HDAC inhibitors, a type of cancer drug that has demonstrated an ability to induce the production of HIV proteins by latently infected memory CD4 T cells. The HDAC inhibitors vorinostat, panobinostat, and romidepsin are all currently being tested in clinical trials but are being given in short courses because they can cause a range of unpleasant side effects including headache and gastrointestinal upset. So far researchers have evidence that HDAC inhibitors can activate latent HIV to some degree in people, but it has not significantly affected the size of the HIV reservoir. This has led to studies of the “shock and kill” or “kick and kill” approach, which combines HDAC inhibitors (or potentially other LRAs) with immune-based therapies intended to help promote clearance of latently infected cells that have been induced to produce HIV (see “Enhancing Immunity”). Beyond HDAC inhibitors, scientists are also looking at other candidate LRAs, including compounds known as PKC agonists, but only very limited testing has taken place in people due to concerns regarding potential side effects. The design of safe and effective LRAs remains a major goal for HIV cure researchers. A number of research groups are investigating whether it might be possible to pursue a strategy that is the opposite of reversing HIV latency: locking down latent HIV to prevent it from being able to ever reactivate. For our interview with Susana Valente from the Scripps Research Institute, a leader in these efforts, click here. A schematic diagram of the approach under development by Susana Valente and colleagues at the Scripps Research Institute in Florida. A drug called a Tat inhibitor is being employed to try and permanently prevent latent HIV from being able to reactivate and produce new viruses (a state they describe as “deep latency”).